Alycia and Eric are expecting! You may remember Alycia and Eric from their woodsy engagement session, or their beautiful fall wedding a few years ago! They are so laid back and fun to work with, and it was an absolute pleasure to have them out to Hoppily Ever After Farms and celebrate their growing family! 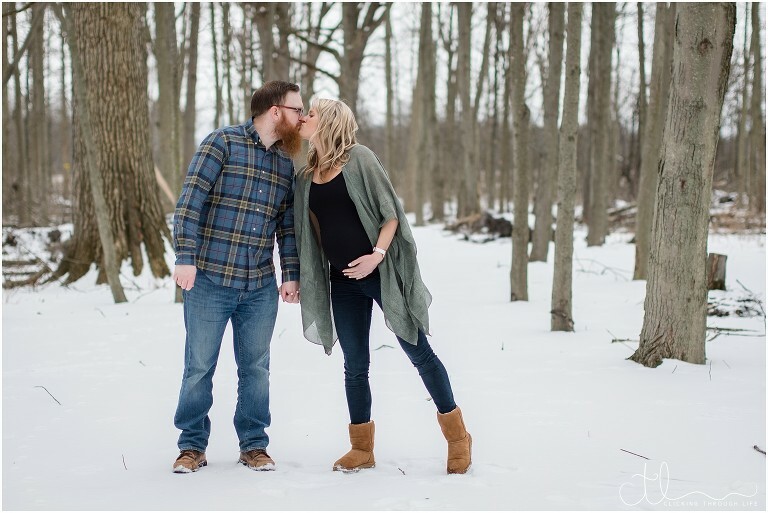 The cold temperatures were no match for warm smiles and full hearts… these two are so sweet and over the moon excited about this next chapter in their story. 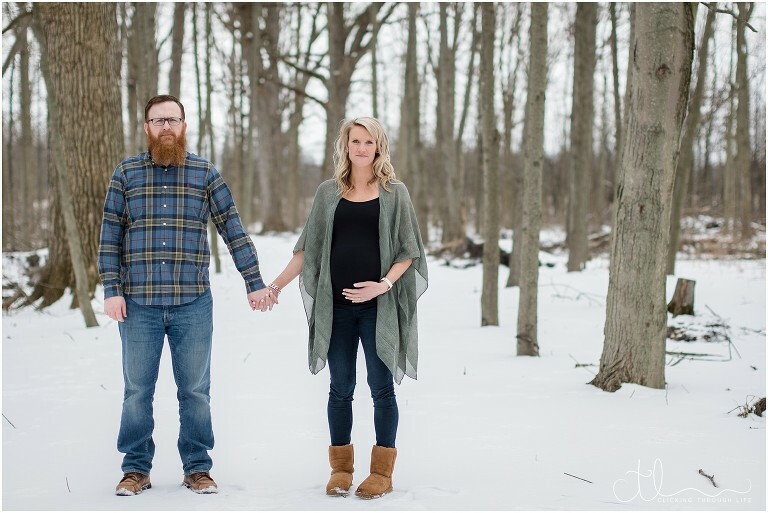 Being able to get outside and see Spring on the horizon (for a day, at least) made it a maternity session and a celebration of new beginnings. This has been a long, cold winter and this session was a literal breath of much needed fresh air. She’s glowing! Congratulations to the happy new parents, welcome to the world little one!